Once you’ve setup your Synology NAS, you can install a dhcp server on it, if you need to provide those services. To get started, first open Control Panel and then find DHCP Server in the Control Panel sidebar. From here, click on the LAN port. Because DHCP requires a subnet mask, and a pool of IP addresses that can be shared, the “Enable DHCP server” button will initially be greyed out. Click on the Edit button to define these. Address lease time: The number of seconds the lease will be valid. Primary DNS: The first DNS server provided to client computers. Secondary DNS: The second DNS server provided to client computers. Domain name: The automatic suffix applied to hostnames of clients (e.g. if you enter Synology in a web browser and this setting was krypted.com then you would be routed to Synology.krypted.com. Subnetlist: Here you add subnets, which we’ll describe next. Start IP address: The first IP address in the pool that will be handed out. End IP address: The last IP address in the pool that will be handed out (note that in my example, I’m handing out 192.168.55.40 to 192.168.55.50, so 11 addresses – make sure these don’t overlap with other devices that are already using addresses or with other DHCP pools or you will have sporadic device connectivity for some devices). Netmask: The subnet mask to be given to devices along with their lease. Gateway: The default gateway, or router for the network. DHCP Options: I cover these in http://krypted.com/mac-os-x/replace-macos-server-dhcp-service-built-macos-dhcp-service/, but this list includes those supported on the Synology. Once your settings are configured, click Create. You’ll then see your pool configured. Click the OK button. You’ll then see a list of subnets and settings. 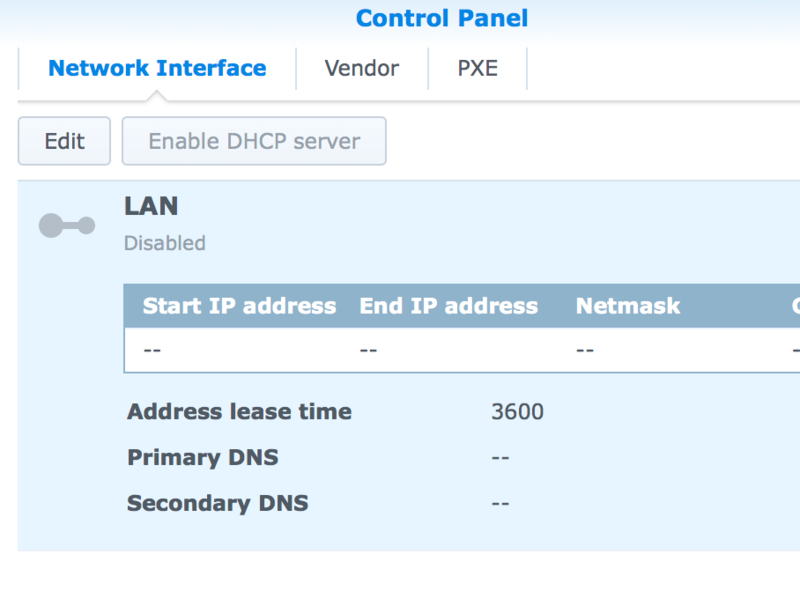 Click “Enable DHCP server” to start the service. Once started, click “Disable DHCP server” to stop the service or go back to the edit screen and click on the DHCP Clients tab to see what IP each client has been provided. One of the most important aspects of performing forensics work in Mac OS X is to write-block the volumes that you are inspecting in order to maintain the chain of custody for the evidence (or potential evidence). One way to do this is to use a physical write blocker so that when you plug a USB, SATA, eSATA or other type of drive into the write blocker you will only be presented with a read only volume on the computer. For example, some good write blockers can be found at Digital Intelligence. WeibeTech also makes a nice USB device for write blocking on the Mac. But this can get kinda’ pricey because you often need to carry around a ton of fairly expensive devices to have one of each type that is required. So many choose to use software. On the Mac you can disable disk arbitration, which automatically mounts drives by moving the /System/Library/LaunchDaemons/com.apple.diskarbitrationd.plist file to another location, or simply stopping the LaunchDaemon. You can then mount volumes manually. But chances are this will become cumbersome. So BlackBag Technologies has announced SoftBlock, write-blocking software for the Mac that provides GUI control over the mounting and management of devices at the kernel level of Mac OS X. When you plug a device into your computer, SoftBlock identifies them and then allows you to select whether to mount it as read-only or read-write. This is pretty similar in nature to how the Faronics DeviceFilter works, except instead of having management centralized to control whether you can mount a device in the first place this tool allows a user to control how each device will mount. Both are great tools and they’re apples and oranges, except in the fact that both appear to be built on the same concept. Overall, I’m excited to see BlackBag release SoftBlock and happy to be testing in my lab right now!